After a promising 5-3 start, coach Joe Philbin's Miami Dolphins faded late in 2014 to miss the postseason for a sixth consecutive year. One major concern was offensive line, as left tackle Branden Albert and center Mike Pouncey, were both hurt last season. With the O-line healthy, Suh added to the D-line, and with Ryan Tannehill taking another step forward, we expect improvement out of both sides of the ball in Miami, which means the Dolphins are ready to make the playoffs as well as provide solid fantasy statistics this year. The Dolphins offense needs Ryan Tannehill to be more efficient in the redzone in 2015, which is why the Dolphins went out and signed Jordan Cameron, Greg Jennings, and Kenny Stills as well as drafted DeVante Parker this offseason. Tannehill now has Landry, Stills, Cameron, Miller, and Jennings to look for in the redzone. We expect the offense to be solid, but it still won't produce jaw dropping numbers in 2015. The Dolphins have steadily built a strong collection of talent on the defensive line via the draft and in free agency. 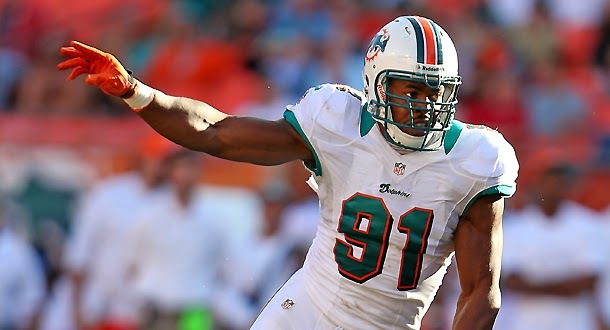 Miami has one of the NFL’s deepest groups of defensive ends and a great rotation of defensive tackle. The defense finished 20th in yards allowed,and 21st in points allowed in 2014, so we expect a solid jump from them in 2015 as well as good numbers from most of the IDP stars. Finally, be sure to take a look at the Dolphins as a sleeper redraft DST, especially early in the season against Washington, Jacksonville, Buffalo, New York, Tennessee, and Houston.